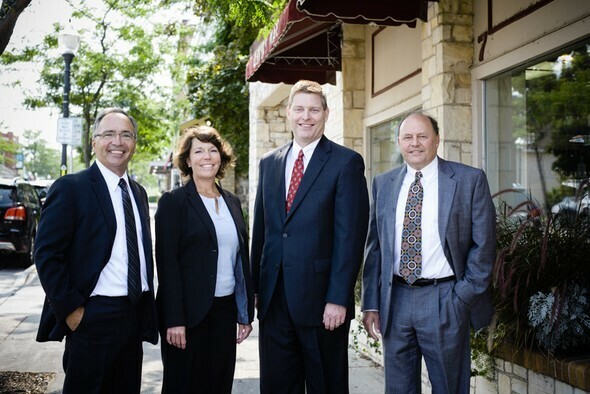 Our Wealth Management Practice serves families, business owners, and non-profits in Wisconsin. We use a four step approach to a comprehensive plan that seeks to simplify our clients “unique” financial lives so they can enjoy the rest of their lives. We listen to our clients so we can understand their unique goals, their aspirations, and their fears paying special attention to critical financial events such as getting married, having children, and retiring. Using independent, objective and unbiased advice, our professional team selects sound, nationally known managers to help our clients achieve their unique investment plan requirements. Our professional team reviews and revises our client’s investment plan and portfolio as needed to help ensure it stays congruent with their current dreams, wishes, and concerns. We report in a manner that is simple, concise, and easy to understand. CedarDoor Wealth Management and Wells Fargo Advisors Financial Network do not provide tax or legal advice.